Professor Ross Fitzgerald	» Blog Archive » A professor and a comedian walk into an authoring partnership. “I was at Griffith University during the worst periods of the Joh regime and volume two of my history of Queensland got pulped. I got threatened with criminal libel by Joh and his attorney-general Neville Harper, Professor Fitzgerald said. “There hadn’t been a criminal libel case in Australia since Frank Hardy’s ‘Power Without Glory’ and it meant that my wife and I could have lost our house and I could have gone to jail. “Eventually, it got republished but a friend of mine said, Ã¢â‚¬Ëœif you can’t do it factually, why don’t you take the piss in terms of satire?Ã¢â‚¬â„¢ so I started to take notes about how ridiculous the university was and how over-the-top politics was with people like Russ Hinze and so on. “So that led to the first Grafton Everest novel. 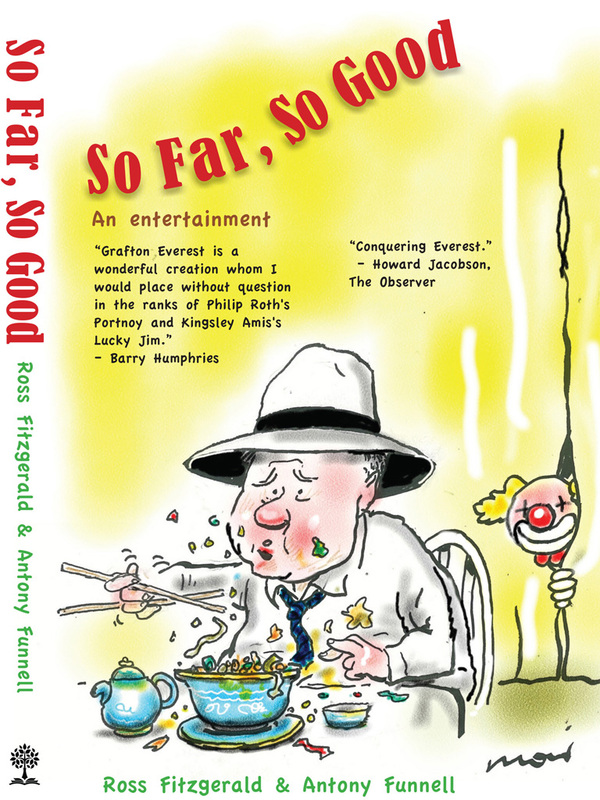 Professor Fitzgerald has just finished his fifth Grafton Everest novel , ‘Going Out Backwards: A Grafton Everest Adventure’ , and this time he enlisted the help of Brisbane-based comedian Ian McFadyen. “I think this one is the funniest and McFadyen has a lot to do with that, Professor Fitzgerald said. “He has a lighter touch and we really enjoyed working with each other. It was Brisbane-based McFadyen, who came to national prominence in the late 1980s as a central member of Network Ten’s Comedy Company, who convinced Fitzgerald that Everest , who had a brief spell as Mangoland premier in an earlier novel , needed to go to Canberra. “IÃ¢â‚¬â„¢d put the view to Ross earlier that the Queensland fishing hole was pretty much fished out and just about all that comedy had been done, he said. “Grafton’s really got to go to Canberra. He’s got to somehow get elected to the Senate, along with all the other strange people who get elected to the Senate. “Then, he’s got to end up having the balance of power so the leader of the government and the leader of the opposition are both promising him things to get him onside. 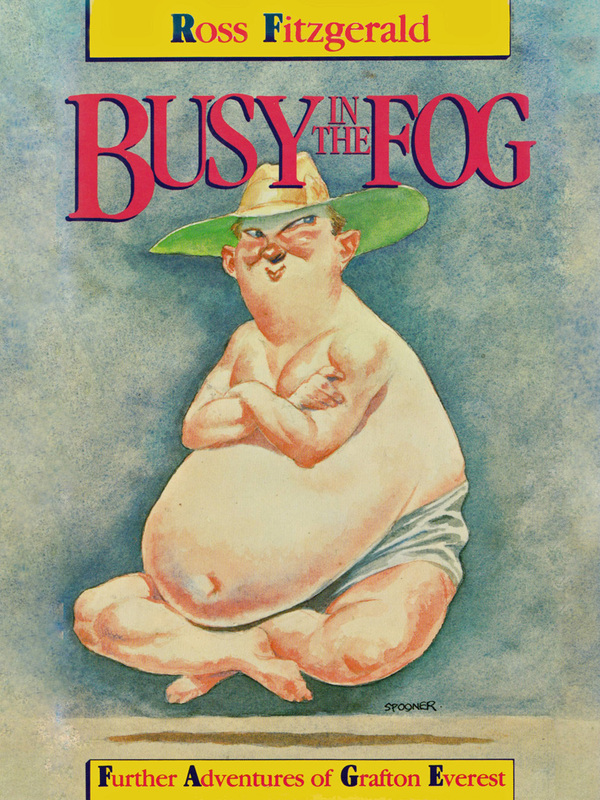 “WeÃ¢â‚¬â„¢ve got to really satirise what’s going on in Canberra at the moment. The Fitzgerald collaboration was a good fit for McFadyen, who said he had been trying to get a politically based sitcom off the ground for some time. “I put in the proposal back in the Ã¢â‚¬â„¢90s based on [independent Queensland state MP] Peter Wellington, but it’s very hard to get up any kind of political sitcom, he said. “So I couldn’t get that up, but I was happy to be able to use some of the material. “A good thing about comedy is that it never goes to waste, because if you can’t get it on TV, you put it in a book. If you can’t get it in a book, you write a funny play. “Jokes are very versatile and kind of platform-neutral. But no matter how funny the jokes were, McFadyen said the danger with political satire was that it could so quickly be dated, primarily for two reasons. “Firstly, the things you are satirising just vanish over time and nobody quite remembers them, he said. “The more common form is that reality just trumps you. No matter how crazy the thing you write, six months later something even crazier in real life becomes even nuttier in real life. “YouÃ¢â‚¬â„¢ve got to get in quickly before things get too mad in the real world. 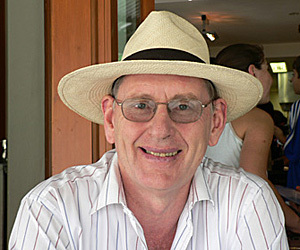 Professor Fitzgerald, who now lives in Redfern, said the while his Grafton Everest books had not done so well in Australia, they had their biggest audiences in the United Kingdom and South Africa. That was not to say Australians were unfamiliar with Professor Fitzgerald’s fictional writing. 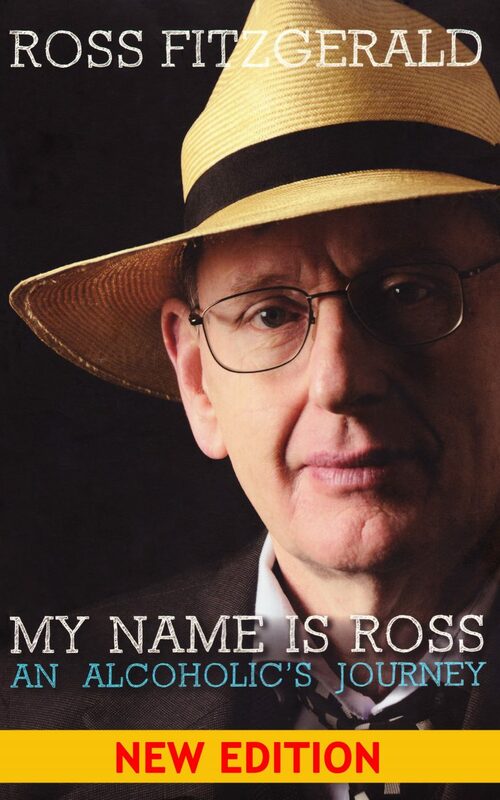 “I was on Sydney’s north shore and this lady comes up to me and says, Ã¢â‚¬ËœAre you Professor Ross Fitzgerald?Ã¢â‚¬â„¢ he said. 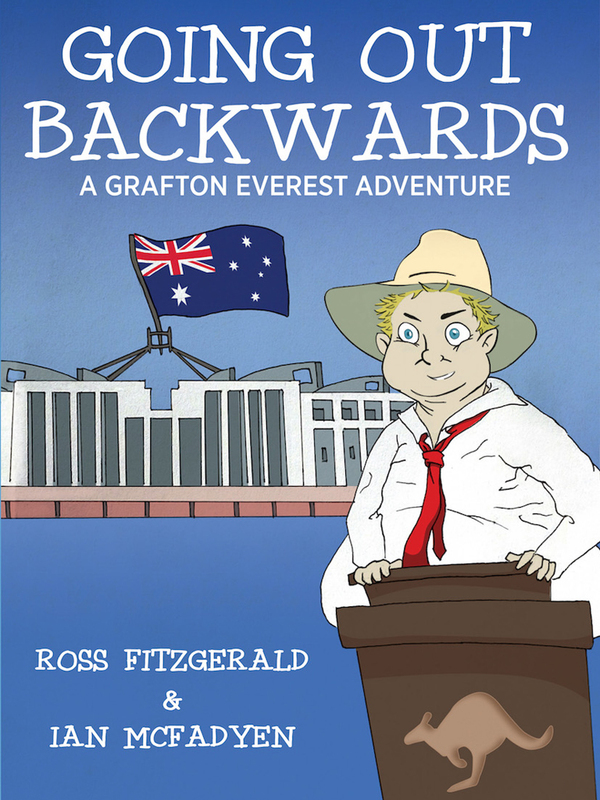 ‘Going Out Backwards: A Grafton Everest Adventure’ is available through Melbourne-based Hybrid Publishing. 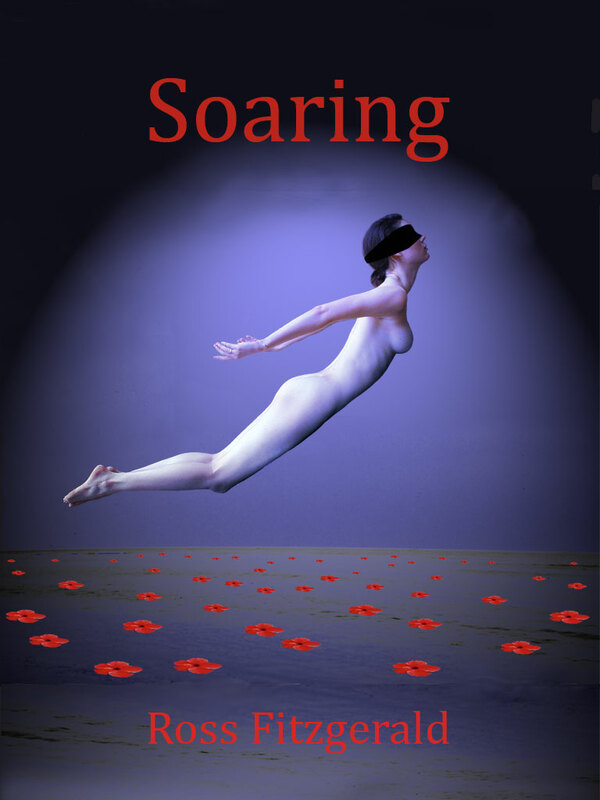 ‘Going Out Backwards’ is also available as an e-Book from Amazon.